Now you can take the guesswork out of watering your yard, garden, raised beds and container plants of all shapes and sizes! This easy-to-use moisture meter will solve any issues of under- or over-watering, which can still be a struggle for even the most seasoned gardeners. 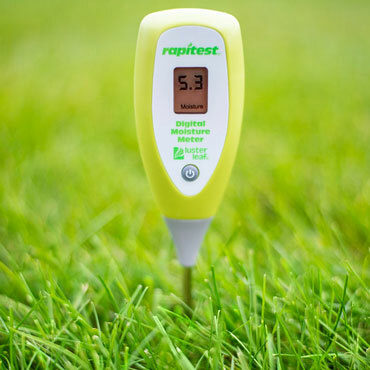 It gives you an easy-to-read, instant digital readout of the soil moisture content at the root level so you know how to adjust your watering accordingly. A water guide is included, which includes a table detailing over 150 plants so you know exactly which ones need more or less moisture, and exactly how much.